Ever have Network Marketing prospects that tell you they will show up to your meeting but don’t? Unless you are not prospecting anyone or a magical wizard or enchantress you have had this happen to you, here’s how to deal with it. It is true. If you have been trying to find perfect network marketing prospects that just see the vision and join right away you WILL run into some NON-PERFECT prospects along the way. 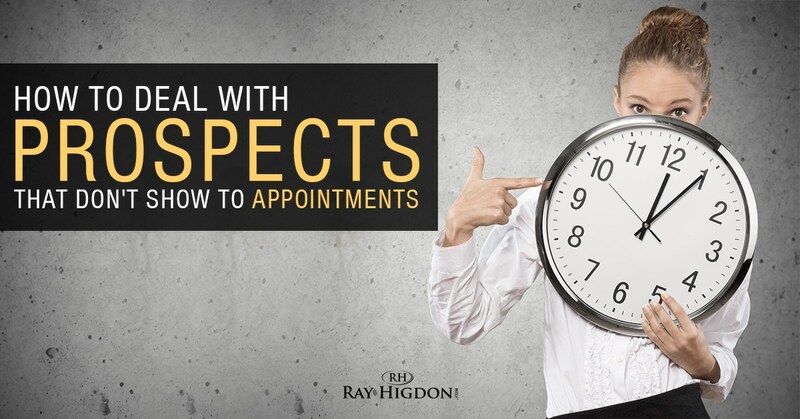 This post will give you my very best tips to help you reduce the number of prospects that don’t show to your meetings. The biggest reason network marketing prospects don’t show is actually in your invite. Never move forward out of weakness. If you get the sense that a prospect is telling you they will come but may not mean it, ask them, don’t just tell them you can’t wait to see them. Here’s a line I have used, “Hey, just curious, are you just saying you will be there but don’t plan on coming or are you definitely planning to be there?” Most people will white lie all day and be out of integrity but when called out, they are much more likely to either tell you they won’t be there or will commit to being at your meeting. If you want ten prospects, invite 100 people. So often I hear someone say that they invited their ten. The chances of all ten showing up are, well, ZERO. When following up, strip all guilt or weakness out of your call and instead move forward powerfully. Here’s a quick script for you “Hey, I know you couldn’t make it to the meeting last night, totally cool, listen, there were quite a few people there and I have to prioritize my team with those that DID show but did want to let you know that I can follow up with you in a week or so. Hope you understand and talk to you soon!” This will, in most cases, blow their freaking mind and they will wonder what they missed out on. IF you go at them with some weaselly guilt trip they will never join you as they don’t want to have to guilt people AND people don’t normally join with people that use some wimpy tactics. Was this helpful? Imagine if your team all operated this way. They would feel better about their posture AND be more effective! Feel free to share and drop me a comment if you got value. Great advice Ray! I love the script. I’ll definitely be using that next time. Great approach, I’ve been really guilty of using guilt. I’ll give this a shot, thanks ray. Ray! What’s up bud? You’re the best bud, just diving into Jess’s training. I’m in the middle of doing a “Ray Higdon” so you’re going to be seeing a lot of me keeping you and the world up to date with my progress. It’s no coincidence but you talk about a lot of this stuff in your “Cold Market Recruiting Course”. Which is an AWESOME course, thank you. And 10-Xing it, I’m glad you mentioned that since I kind of forgot… You Da Man! I like the posture you talk about with prospect No shows Ray. Great tips Ray, thank you!